Do you struggle with weight gain and have a lot of dietary restrictions? Looking for a healthy, allergen-free snack that is calorie-dense and tasty? Read on to learn more about weight gain with chronic illness and a recipe that will make you praise bananas forever. We often read online about suggestions for weight loss, diets to tackle obesity, and how to slim down our bodies. But what if you are struggling with the exact opposite? I have always been a small person, but since having Postural Orthostatic Tachycardia Syndrome, or POTS, I have lost over 20 pounds in under a year! For someone who is only five foot, two inches tall and previously only 120 pounds, being in the double digit weight category can be very concerning. But what they don’t understand is just as being overweight can be unhealthy, so is being underweight. Your body needs fat in order to survive. You also need muscle. If your BMI is <18.5, you likely are lacking both fat and muscle and often feel tired or exhausted. Malnutrition is also a major concern for those who are underweight and being malnourished adds fuel for chronic disease flares. 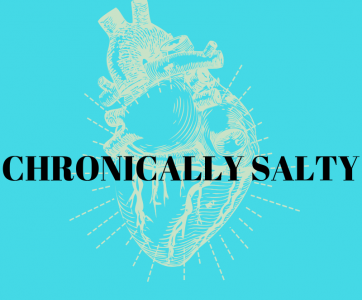 If you have a chronic illness, this can be a viscous cycle. Your symptoms may prevent you from exercising to gain muscle and from eating enough calories, but without both of those things, your symptoms will likely just get worse. With POTS, one of my main triggers is postprandial hypotension. This type of hypotension occurs when you eat a large meal: blood is diverted to the stomach for digestion, which in turn causes your heart to work harder to keep up. So my weight loss is due to lack of calories because of the tachycardia I get after eating. Gastroparesis, dysautonomia, and MCAS are all chronic illnesses that have a major risk of malnutrition and weight loss because of worsening of symptoms after eating. Luckily, I have found that after starting Corlanor/Ivabradine, a heart rate lowering drug that does not affect blood pressure, has greatly reduced the tachycardia I get after eating a large meal. But that is only the first step to gaining back the pounds. For months, I tracked my calories to be sure I ate at least 1800 calories a day, drowned all my food in olive oil (120 calories a tablespoon! ), and worked on lower body strength training. I also found my way to this amazing banana bread recipe that I have adapted from Gimme Delicious. A loaf a day of this allergen-friendly bread has helped me gain back thirteen pounds in two months! It is high in protein, has an excellent source of potassium, and is low in added sugars. The gluten free recipe has been adapted to be dairy, nut, and soy free. Let me know how it goes for you! Preheat the oven to 350 degrees and grease/flour two bread pans. In a large bowl, mash the bananas with a fork until soft, then add the rest of the liquid ingredients and blend well. In a separate bowl, add all of the dry ingredients together and mix well before adding to wet ingredients. The batter should be slightly thick. If you can’t move a fork through it easily, it is too thick, but if it is the consistency of apple sauce it is too thin. Add more liquid/flour to adjust. Add optional ingredients (coconut flakes/carob chips) if wanted, and briefly mix. Fill pans 3/4 to the top. Bake in oven for 45-55 minutes, until the toothpick or fork comes out clean. The top should look like a toasted light brown.